Ever wonder what it's like to be a baker? Come take a tour of our Bakery! Kids of all ages seem to be curious about how we do what we do at O’Brien’s, and we love to feed that natural curiosity. 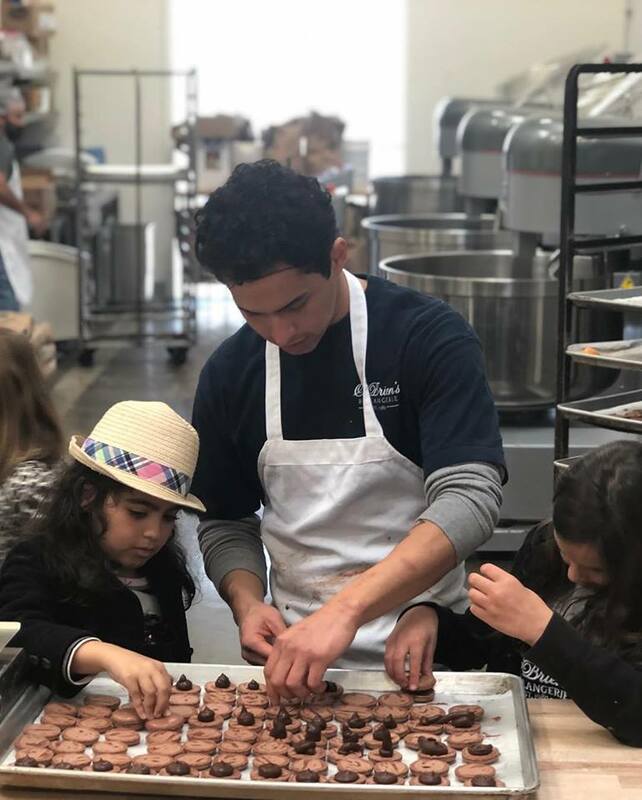 During our free bakery tour, kids go behind the scenes to learn about our baking process, see how our equipment works and get some flour on their hands by shaping their own loaves of bread. After each tour we’ll let their loaves slowly rise, bake them in our oven and have them ready for pick up. We require a minimum of 12 children to conduct a tour, but groups of up to 20 children with adult supervision are welcome. Tours last up to an hour & a half and we wrap up the tour with a warm, freshly baked-from-scratch chocolate chip cookie. Want a taste? We ask that the children be over the age of 8 for their safety. We schedule all tours Mon-Wed to start at 8 am the tour typically runs for about an hour & a half. If it is for a group of children we ask for 4 chaperone’s.